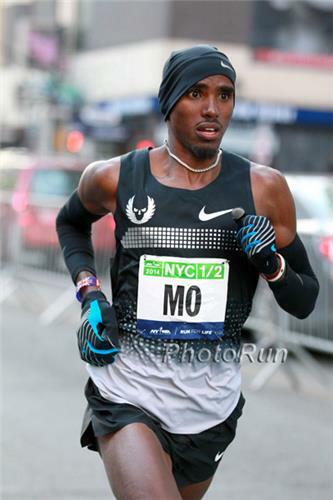 Good luck to everyone running the London Marathon today, and good luck to Mo Farah who's running his first ever 26 miles. Much like Mo Farah in the men's race, the big talk here is the marathon debut of Tirunesh Dibaba. Tiki Gelana (Ethiopia) Olympic champion in 2012, in an Olympic record of 2:23:07, after wins at Amsterdam (2011) and Rotterdam (2012) PR 2:18:58, Rotterdam 2012. Florence Kiplagat (Kenya) is the world record holder at the half marathon.PR 2:19:44, Berlin 2011. 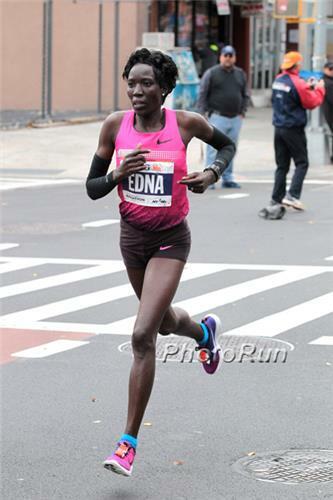 Edna Kiplagat (Kenya) double world marathon champion (2009, 2013), and a New York champion (2010). In the last three years at London was third, second, second. 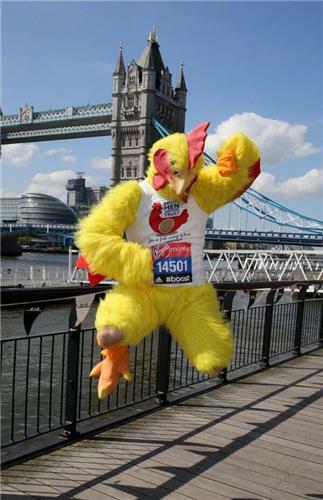 PR 2:19:50, London 2012. 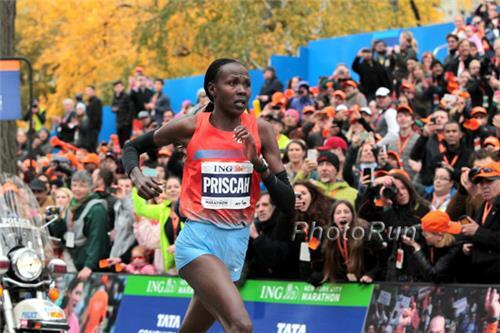 Priscah Jeptoo (Kenya) won London and New York in 2013, was second to Gelana in the 2012 Olympics in 2:23:12, which would have won every previous Olympics. 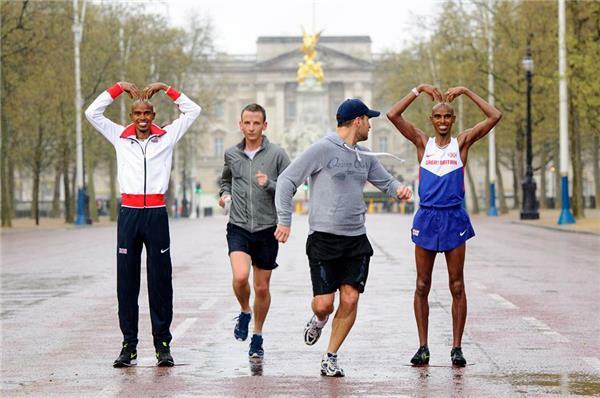 PR 2:20:14, London 2012. Aberu Kebede (Ethiopia) wonTokyo (2013). PR 2:20:30, Berlin 2012. Feysa Tadesse (Ethiopia) won Paris (2013). This is her London debut. PR 2:21:06, Paris 2013. 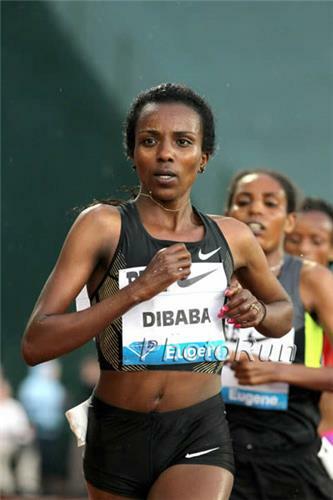 Tirunesh Dibaba (Ethiopa) 5 times Olympic gold medalist at 5,000 and 10,000 meters. Undefeated at 10,000 meters on the track. This is her marathon debut. I expect that the pace will be around 1:09:30 at halfway for the women, with some serious increases thrown into the pace around 25K. I think that Gelana and Kiplagat may get a gap, and that Jeptoo will attempt to reel them in over the last 5K, but will run out of real estate. I think that Dibaba has the tools to win this and is the master of sitting off of the lead and relying on her finishing speed. 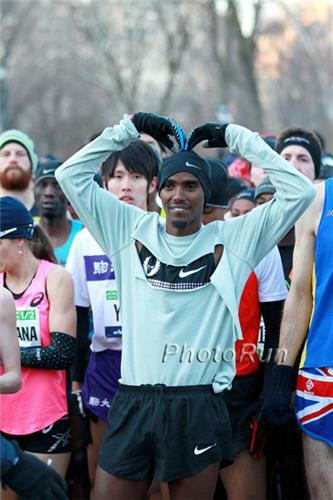 Mo Farah lines up for his first competitive Marathon tomorrow in London. Are expectations of him winning unrealistic? 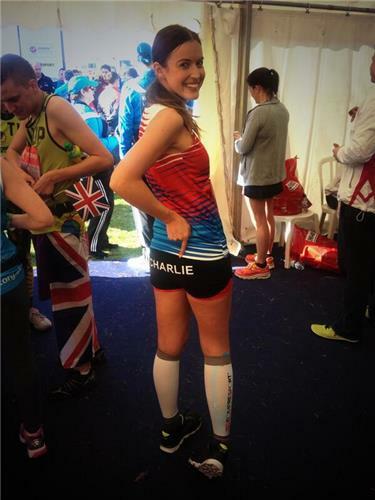 Good luck to our #LondonMarathon team as they run 26.2miles tomorrow! 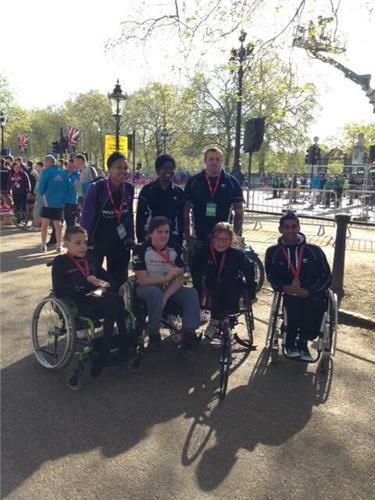 They will be following the footsteps of Mo Farah & many other elite athletes. 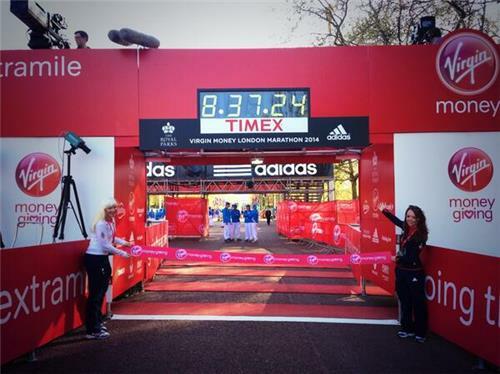 Cheer them along, spot the celebs & join Team HOPE at mile 23.5. 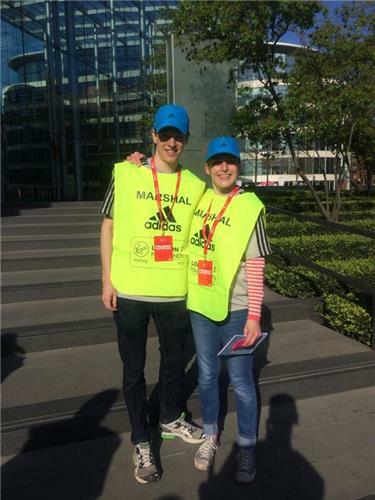 The more the merrier, so please support our runners with Fundraising Manager, Ed Fletcher, to make as much noise as possible. 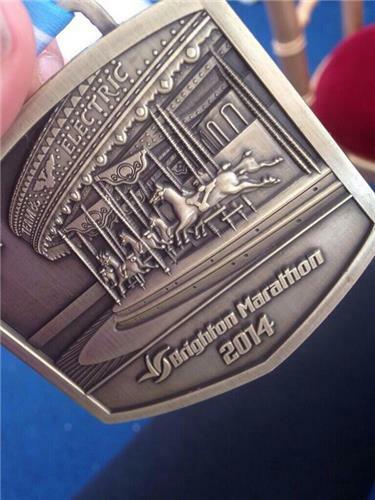 Every effort & every step is worth it; our runners have raised valuable funds to help HOPE's children. 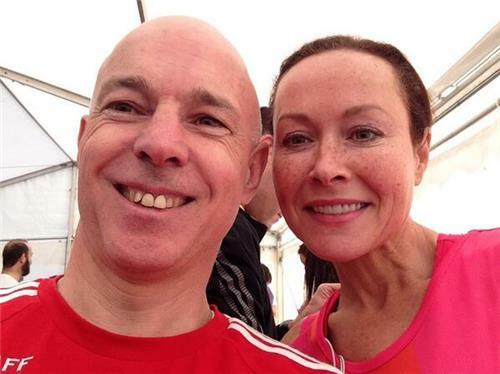 After 37 years off training I'm finally ready to do the london marathon! Thanks for all the lovely support & donations to me Zoe's place baby hospice just giving page. In less than 24 hours I'll be challenging Mo Farah for the title, the smart moneys on Mo to win, but anyone with an outside betting chance stick £2 each way on me & I might beat him (in a helicopter). & big thanks to Millom beggars theatre last night & to Jackie & gang for a packed out show! 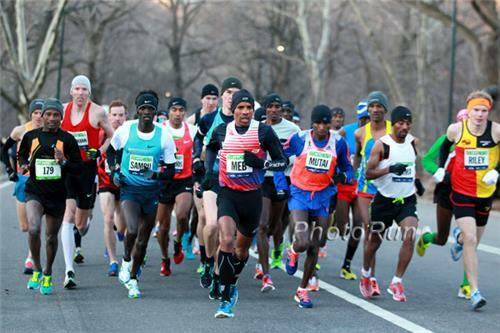 Tsegaye Kebede dreams of winning the London Marathon again - አትሌት ፀጋዬ ከበደ ለለንደን ማራቶን ላለበት ውድድር በህልሙ ሲያሸንፍ ማየቱን በአስቂኝ መልኩ ገልፆታል ከሞ ፋራህ ከፍተኛ ፉክክር እንደሚጠብቀውም ተገምቷል። Britain’s double Olympic and world champion Mo Farah makes his eagerly-awaited marathon debut in London tomorrow. 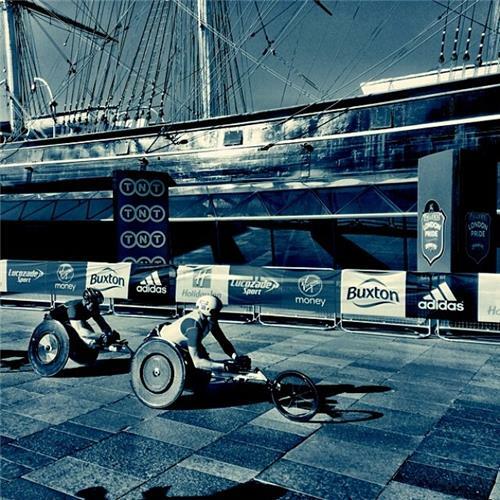 Is #drafting allowed in the @LondonMarathon wheel chair race? 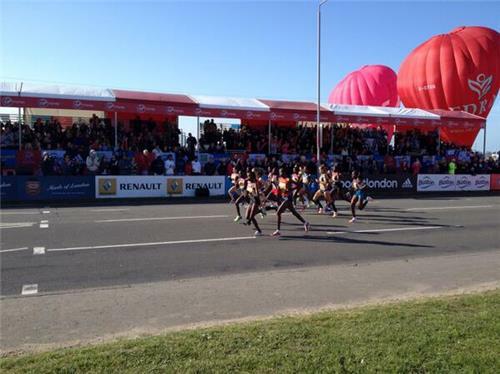 The women have a pretty good pacemaker in Joyce Chepkirui who ran under 67 minutes in the Prague HM last weekend.